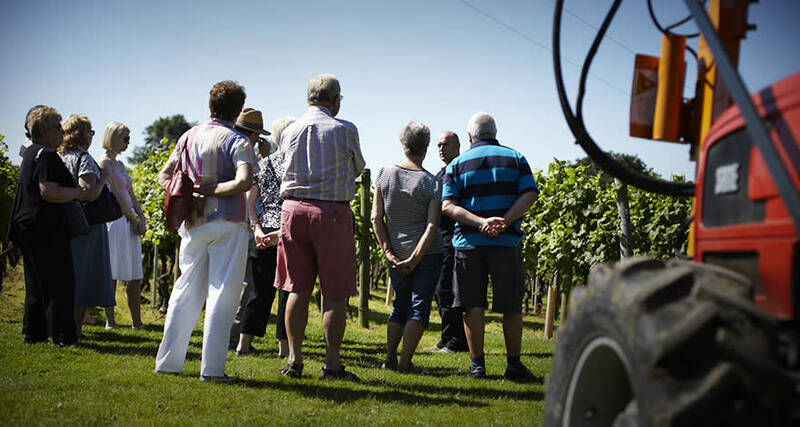 Your tour will start with an introduction to Chapel Down followed by a short walk to the vineyards to learn about how we use the English climate to grow fantastic, ripe fruit. In the winery we'll show you the processes we use to transform great fruit into great wines and how our sparkling wines are made using the intricate Traditional Method. 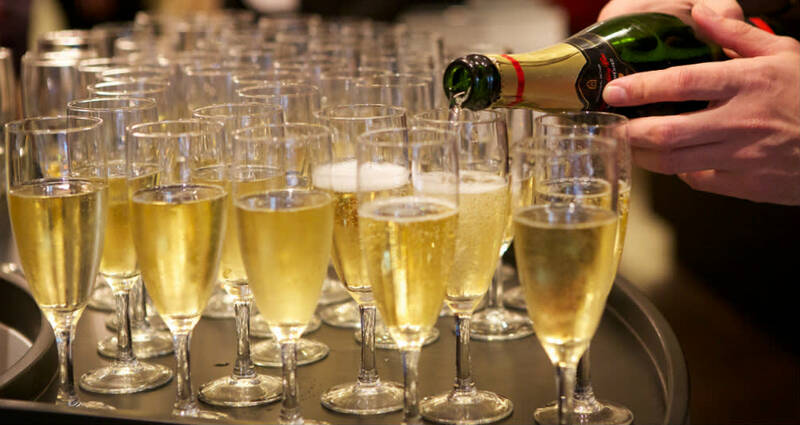 To complete the experience, all tours include a tutored tasting of our award-winning sparkling and still wines. Depending on the time of year and size of group wine tasting will take place in either our Cellar Door tasting area or the Wine Sanctuary. Guided tours run throughout the year. Tours include a visit to the Chapel Down vineyards and winery, followed by a tutored tasting of our award-winning range of sparkling and still wines. Each tour takes approximately 1hr 45mins. Call us on 01580 766111 for further information, booking in advance is recommended. CUSTOMER TESTIMONIALS "I write to congratulate you on the excellent guided tour of your establishment we received when your guide escorted us. We have previously undertaken wine tours in Germany, France and Australia, I can assure you that none were so well explained or as interesting." 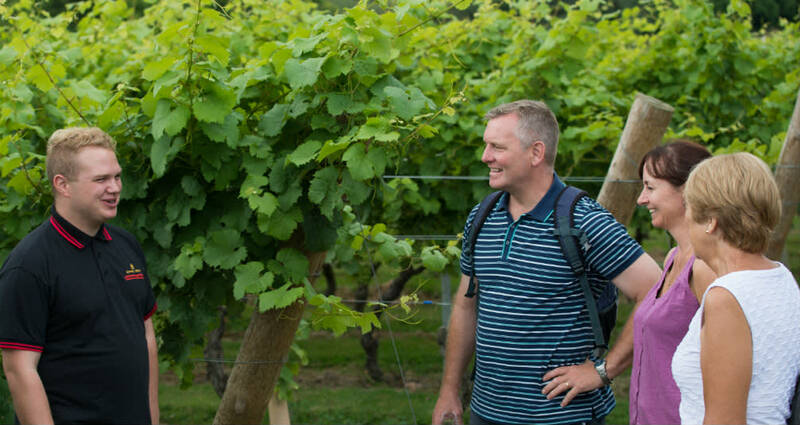 "A truly unique English vineyard experience! All of us thought the tour was amazing and culminated in a superb tasting at the end. All the wines were extremely good and the tour gave us an insight into English wine production that none of us knew before. We will definitely be back!" "We were both very impressed with our guide, Gavin, who is clearly incredibly knowledgeable, enthusiastic and passionate about what he does." "A great day out! We would recommend the whole experience, it was interesting, informative and the staff were very helpful and polite - nothing was too much trouble." "I visited Chapel Down yesterday for a vineyard tour and wine tasting. What a superb and enjoyable couple of hours. Well done on delivering an excellent tour and tasting experience, highly recommended." If you have any questions about guided tours, group tours or bespoke packages, please get in touch on 01580 766111 or email us. We also offer a range of Gift Experiences which combine guided tours with dining packages at The Swan restaurant making the ideal gift for someone special. We can deliver to Mainland UK as standard, orders to be delivered to the Scottish Highlands and Islands, Northern Ireland, The Isle of Man, The Isle of Wight, The Scilly Isles and the Channel Islands cannot be processed currently. For further details, please visit our Delivery page. Use the link at the top of the screen to Register for an online Account or make a purchase using our Guest Checkout should you prefer. Payment can be made using a credit or debit card via Sage Pay, Amazon Pay or PayPal in our secure checkout. If you are a shareholder in Chapel Down or Curious Drinks and would like to make a purchase please see our Investor Page for details of how to register for a shareholder account and place an order. Alternatively please call our Sales Office 01580 763033. Follow us, stay updated and share on social media with Chapel Down.